Page Wright was a bright young magician who unfortunately passed away much too early. He was a frequent contributor to The Sphinx and Genii Magazine and frequented collaborated with William W. Larsen, Sr. The many tricks they co-invented and were published often appear under the name "L.W.". 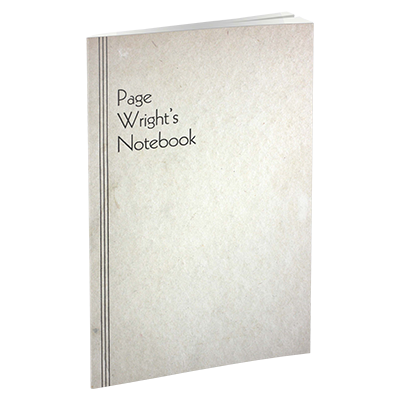 Page Wright's Notebook contains many ideas, routines and notes from this brilliant young mind in magic. A stimulating and inspiring glimpse into the mind of an artist.